Too many government schemes, too many promises! Also, the political parties are mobilising them to march to Delhi or Mumbai demanding too many redressed of their grievances! income payment after the scheme’s formal launch by the Prime Minister! The PM as per the news must have started paying the first installment of Rs.2, 000 from February 24 at a high profile launch of the scheme. The second installment is supposed to be paid, the same this time would be the PM Samman Nidhi scheme, obvious, on the eve of the next general elections, the rural voters, it is believed, would be cheered up and likely to vote for the BJP. The scheme and the second installment promise are all obviously high stake gambles and would likely turn out to be a big winner for the ruling party. Who knows? It looks this time, the general elections itself seems to be a leap in the dark! Even if the PM or his lieutenant Amit Shah might be hoping for a second term, the people might have different ideas. The 2014 w elections gave a rude shock to the Congress and many of its allies. In TN both the parties were wiped out and the AIADMK came back with a vengeance. Elections in India is still a gamble. Voters, why even the parties don’t have any principles whatever, see how the DMK and the AIADMK are now ganging up. They were seen hugely happy faces when they rushed to sign the pacts, all they, the Dravidian parties and the Congress and the BJP were seen relieved to get a pact signed and they signed with a huge sense of relief, as if they had already crossed all the hurdles and almost they thought they had secured the number of seats they had a gamble at! How does the voters think this time? country caught in an unexpected mourning and the very nation is distracted by so many issues. It looks the parties too might not care for any election propagandas; no manifestors make a sense when the country’s attention is caught in such a brutal behaviour by our neighbour. parties and also the high decibel orations might not make a predictable voter sentiments. Even the otherwise much noisy voter’s opinion survey look suddenly irrelevant and no one need to be teaching the voters how to vote. The election outcome itself might be very unpredictable. There is many speculative calculations as to how much money to how many farmers in how many states this would be done and the much feared leakages, a great folly of many of the farmer’s schemes, would take place and successfully plugged are all questions nobody has asked. 5 million farmers in the delta bases.50 lakh farmers in the first instalment disbursal and many of the detailed work seem to have been done. However, doubts persist. Who are the specified agencies would be involved in this task? Where is the Niti Aayog in this exercise? What the economic advisers are doing? Where is in this entire heavy-duty task the agriculture ministry or the high profile officials? The very weakness of the agriculture ministry, the ministers seem to be adopting an inexcusable silence! This is only one side of the whole business. There are other farmers-related schemes like the Pradhan Mantri Fasal Bima Yojana (PMFBY) in compensating farmers in the drought hit horticulture crops, for instance? branch in Bandapur and the insurance company in particular, IFFC Tokio all held responsible in not keeping their duties! We don’t like to narrate the story here but it is typical of the rural farmers’s scenario everywhere. No one official takes responsibility; the SBI has not answer, nor the IFFC Tokio insurance company which doesnt have any office in the district! 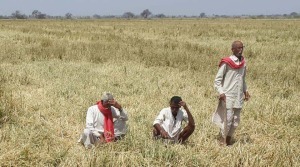 This is one more similar story, here the farmers, name given says:@I get the suicidal instinct! The whole point is that the over-all governance of the whole exercise lacks any rational over-all governance. Now, it is election time and very likely many other things might go away! In the near term many things might go without any real solutions! Farmers must face many new uncertainties. The weather, drought and the nature’s furies. Agriculture suffers many handicaps. It is too much for any government, more so like Modi’s to get things let loose their ways. Agriculture doesn’t get top priority when it comes to media exposure. 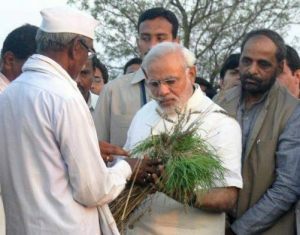 No mainstream newspapers or TV channels have any commitment for such priority sectors like agri sector or rural sector. So, in this election too funds might flow, transparent under the name of many schemes to rural voters, farmers in particular, in states like TN, funds are openly distributed for voters! Elections in a democracy like where poor sections get once a while money for votes, it is anybody’s guess how the elections results turn out. Let us hope that the public perception judges the outcome rightly! Farm loan waivers and universal basic incomes! Agriculture as we near the election 2019 has come to connote many a new buzz word. It is now agri crisis, agri distress and also jobs crisis and many such trendy outbursts. If you leave out the much debated Rafael deal what are you left with? Election time means much heat and rhetoric! However, there are positive policies, the basic income support policies, as we find in the USA. Let us adopt and announce these sorts of policies as an election promise! Election 2019 is the battle for survival for both the BJP and the Congress! The stakes are really very high for both the parties.BJP is now in a new phase of hope and despair. Hope because of its well-oiled election machine. Funds are plenty and the PM’s image is kept high by various development schemes and the voters expectations are at high alert and schemes well-propagated. The PM is everywhere, on almost all the TV screens! This was not so in the past and also the party is in absolute majority. Though the two Houses of Parliament have ceased to be anything but productive or positive. Daily disruptions and adjournments have become another name for Parliament functioning. The 16th Lok Sabha statistics tells all about how poor we have become as a Parliamentary democracy. 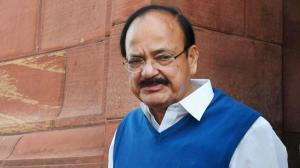 The productivity of the average Indian Parliamentarian is near zero. Tamil Nadu, for instance, sends 39 MPs and yet, there is no one Private Member Bill, a key instrument to grill the government on critical issues in some depth. But the contribution of the TN MPs is zero! This, out of thousand and odd Privet Bills tables by MPs from other states! This is how the standards of Parliamentary members have fallen. Also, it is an indication how the Party presidents have becomes so addicted with unaccountable political power, power wielding by party presidents has become so autocratic and there is no accountability whatever in our democratic system. Who has to worry about this degeneration in the polity? No clear answer and no concern at any level. There is fear and much risk if any institution is slightly touched, be it the many sensitive institutions, the new and the old, from the traditional media to the new agencies like the CBI, ED or the various agencies from the Right to Information to the filing of public interest litigation. Almost at every level of governance fear pervades, fear of the government. Of course this is not democracy, nor an open society nor any other form of government, liberal or even a capitalist society or economy. We are not even a modern government or society. The media is also undergoing a new transformation. Take any major English language daily newspaper. No current political news as we know is reported on the front pages. Luckily or unluckily, the rise of the society and economy is such that the first few front pages of major newspapers carry colourful and even gaudy ads of real estate or sarees or jewellery! So, the newspaper owners have a perfect excuse not to put any major political stories on the front page and draw attention of the general public. We have now search for some inside pages for major political stories. This is a society and polity, an open democracy, the world’ largest democracy with 1.3 odd souls looking for free and uncensored media. The latest Chief Political Executives, the Prime Ministers are such they don’t care for giving a press interview in all their terms! Where are the thinking intellectuals, the real democratic revolutionaries? There are however, many stories of many atrocities, violence’s, lynching and much social injustice abuses. India still remains poor country. The billionaires list is growing and we don’t want to bore the already bored readers, more so in a magazine that is catering to the poor and miserable farmers and farm entrepreneurs who are all there is the vast span of millions of farmers and rural interiors. However, one good and great news is the coming of the Internet and the mobile phones. In 1985 there was no mobile phone! Today? The whole world of communications had changed., Some few billion mobiles phones, in India every other man or woman holds a phone in their hands and we in the agri/rural media space are able to communicate to these vast mass of humanity though our many websites and webcasts! So, we need not educate the urban elites and thanks to the many innovative technologies we are able to keep our customers, of course the vast majority among them are poor and helpless. The average per capita land ownership is a pathetic pittance. According to NSSO (7oth round 2012-13 for the agricultural year 2012-13 rural India had an estimated total of 90.2 million households. This is about 57.8 per cent of the rural India! According to the Agricultural Census 2010-11, 85 per cent of an estimated 138 million land holdings are marginal and small holdings as compared to 62 per cent in 1960-61. The average size of small and marginal holdings was 1.42 hectares and 0.24 hec. respectively! This, in an India where the billionaire’s boys club is getting fatter and fatter. These are the billionaires, and many more give thousands of crores in unaccounted money to the Prime Ministers’ own party and most of which go unaccounted under various devices. Yes, agriculture to industry is a big jump and a big transformation. So, we come from agriculture to the economy and from the economy to the sort of politics in which the agri sector is a victim. So many non-stop farmers’ suicides don’t make news; don’t make front page news, why that f grim reality of rural India, the completely blacked out rural distress is going to become another victim of ruthless, arbitrary and authoritarian politics. So any political solution, be it jobs for the youth, farm loan waivers and even the latest assurance of the “universal basic incomes” is likely to be caught in our cynical disbelief! What alternatives are before the people? All the economic experts who are on loan, so to say, from the American universities, for short-term assignments come and go and the country, we are sorry to say, rot in the absence of committed politicians. So, from promises that are mostly empty and end up as empty and elections, being what they have become, more spending and more manipulation and more authoritarian, there seems much hope optimism but a resignation to a helplessness that is real tragic. Harsh words? But what else is there in front of us all? For the sake of our helpless farmers, let us end with a positive note. Yes, there have been many global examples of positive action for successful farmers benefit programmes. In the US since 2002 Annual Direct Payments. Counter-cyclical Payments in the market prices are below the statutory.ily determined target prices (MSP).And lastly, loan deficiency payments or marketing loans that provide interim financing and additional income support if market prices fall below the statutorily determined prices. If the agricultural insurance moves in tandem to cover the risks of farmers’ life and crops, such distortions could be contained. At least in the name of the distressed millions Indian farmers, we plead with the two big parties, their leaders who seem in a hurry to outwit each other, take some time to come out an announce such schemes. For god’s sake! New challenges in Indian education! Education’s impact on the wider aspects of Indian public life! Ideas for this generation’s education and culture! The 16th Lok Sabha ends its mandate and the General Elections for the 17th Lok Sabha is due. India is a fairly literate country by now by various parameters and as such it is also time that the people, the new generation, mostly youngsters, all educated would have the competence to judge the public issues. As such we can ask some general questions. How the 16th Lok Sabha had performed its duties? Looking at the statistics, we see that one major state, namely, Tamil Nadu with 39 MPs, a state advanced in education, health and industrialisation, not even one member had brought forward a private member Bill! Though in the present Lok Sabha 1,117 private member bills were brought forward and debated! This is only one example. There is not much evidence to show how many days in a year the Parliament functioned without any disruption! Very likely the Rajya Sabha, no less the Lok Sabha didn’t function for many days. We have come to a time when the voting public, the common man only saw disruptions of the two Houses as a sign of its functioning! This is only one sign of the Indian state of how it functions. India is a large democracy in the world and also a functioning democracy. There are some strong positive features of our democracy. The periodic election, every five years, takes place and the outside world wonders and even admires our democratic functioning all these years. Then what about our education? Yes, it is also progressing faster. But education’s meaning is not progressing! A literate society must get elected the right persons as MPs. Just the opposite is happening! The quality of education and also the expected rise in better awareness of the voting public is not forthcoming. Corruption in public life is rising and also latest developments in tackling corruption have resulted in many corrective actions. Some notable politicians, even Chief Ministers and their families have gone to jails! also the employment after US and UK education is also becoming scarce. And what about education at home? Now, coming to Indian education, we see a sort of hypocrisy in our platform orations on education. All sorts of empty talks preponderate. Higher-ups, the President, Vice-President, past and present, hold on education. Macaulay is quoted; Gandhiji enters in and enter out! Yet, what we see? Education at the top has become highly commercial and like more corrupt politicians, corrupt education entrepreneurs have become new class of wrong doers! Whenever we see the political higher-ups on the platform, we also see the corrupt education entrepreneurs also gracing the functions! The play of unethically earned big money is corrupting the higher education, nay even the private secondary education sector. That is one reason why the Indian education is not rising in genuine quality and any international comparisons in rankings. Also, the genuine new ideas or reforms are getting delayed entry into education changes. In the last generation, we used to hear some education thinkers like Paulo Freire of the Pedagogy of the Oppressed, Ivan Illich of the Deschooling society and many others. This generation there is a complete blackout! Who cares for ideas and intellectual debate? It is time some so us at least realise this and give up the bad practices of inviting Governors and Delhi higher ups, and bureaucrats to schools and colleges and universities’ functions. The short-term and the long-term in education! What do we, the general public, think of education as parents and citizens? narrow, short term agendas! Save the planet, save the future, save the future of mankind! Adopt sustainable goals and future! How nice it is to see the school children getting sensitised by the climate change and polluted environments! We look for education institutions, schools, colleges and universities as that suit our children’s education, right? Yes, that is right. But then times come when we see our leaders get on the platform and hold forth when they get an opportunity. When it comes to education, none seems to me at any rate, they have any serious idea of education. Indian education in today’s world doesnt count in the world. The world talks of education in the USA and UK, also even education in China, South Korea and why even the tiny island Singapore, where in all these countries we are told they teach very good quality education. Why, the tiny Western country Finland is very much praised for their schools, why even for general society’s happiness, as the supreme purpose of education. Why Indian schools and colleges are not rated high? Why don’t foreign students choose to come to India for education? These are some of the questions one has to ask and if possible one has to try to find out answers. The Indian society and history are very different from other countries. India is the only country that was always under attack and invasions. India is the only country that became a country suited for foreign occupations. China was never an occupied country. It was never an imperial power. But India was an occupied and invaded country for a very long time, from 10th century or so we were under one foreign occupier or not. After Babur, came the Portuguese in 495 A.D., then very soon the British came. First as traders and then as occupiers. We became a colony. It was, now looking back, a shameful past for Indians. Then came their ideas of occupation and rule and we learnt to speak English and do the chores of humble clerks. If now we read Indian history, for this generation, I am not sure what is being taught as the British occupation periods. Even now, in England, at Oxford and Cambridge they teach Indian student researchers that the British colonialism was largely beneficial to the Indians! Oh, that is the very different legacy. The Hon’ble Venkaiah Naidu, our Vice President is a wise leader and he recently told in Bangalore that our education system hasn’t risen above Macaulay! Well said. We are afraid the same thing might not be said by his valued colleagues. education, our current bunch of leaders want us not to get a modern, science-based and technology driven education. They have ridiculed modern sciences. See our Science Congresses! Nor is there any realistic thinking on education based on world trends. This is an age of globalisation and wide migration of people. The world is changing fast. May be only in this generation there is such an unprecedented changes. So, education for Indians of this generation must be radically changed, jobs have to be created on a large scale and all this is possible only with a job-oriented education. Education must encompass many facets of modern life, careers in a thousand odd areas has to come about. All this is possible only with a robust thought process. Culture for a country like India is so vital and critical. Where is this wise-range education? Our large number of schools and colleges are government funded and yet we see a heavy commercialisation and there is this growing inequity and also inequality in the access for quality education. School drop outs is a great issue! Unesco’s Global Education Monitoring Report 2019 says 80% of migrant child in seven major cities don’t have education access near their work places. the simply charging heavy fees some schools create a bad impression in the minds of parents about the ideas of quality education. Let our students go anywhere in the world in their pursuit of education. Our education ministers in the States and at the Centre must be qualified persons, with proper education and experience. This is not seen happening. Our populist politics and quota-based admissions have created a situation that many of the education ministers are school-dropouts! Please at least save and resolve our current contradictions in education policy. Yes, give more incentives for mother-tongue based schools and also give more education subsidy to writers and publishers in mother tongues. There are a range of policies deficies, you know? Do you know that in many states, except Tamil Nadu the public libraries Act is not implemented. How can the local languages grow and flourish? There is lot of corruption in education, specially in self-financing colleges. There are some very offensive practices by the self-financing colleges, they start TV channels, why even political parties and they ruin the minds and public morals! Yes, education ministers must have high ethical calling. One big education trust, for instance in Tamil Nadu, the centuries old Pachayappa’s Trust is publicly scandalised by the high corrupt practices of the Trusties! How can a state and society would feel? Only the Chief Ministers, past and present can take up such issues. So, the current contradictions in education and employment policies,the question of medium of education etc,. can be solved only if public spirited men and women are brought forward and entrusted with such public-recognised high offices. Education is a question of honour and trust. The public perception and the public opinion needs to be sensitised. Let more schools and colleges come forward to discuss and debate education and culture issues! 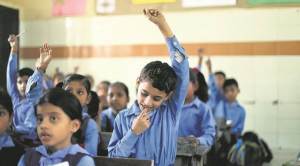 Let us liberalise the private sector in school education to create new types of secondary education that gives Indian school’s system to promote more quality schools! Yes, this is how the senior most and much-respected civil servant, Rahul Khullar describes the Schools scenario in New Delhi. He has in effect pleaded for allowing the high-fee charging rather publicly perceived glamorous schools, most call themselves as public schools even in a low cost Karol Bagh lane(!) and also by now other new fancy names and titles like International public schools etc. The point here is that Delhi’s so-called ”Public Schools” are no more public and it is like the American Public schools that are not government schools either. The crux here is that Delhi’s so-called elite community is enamored by its own hierarchy; the wards of senior civil servants and the rich and not so often well-informed but by going by what the New Delhi power-elite imagines as glamorous and also high society, try to sneak into some selective schools, if some old fashioned name carries more weight, it carries more attractive a pull. Hidden in the debate is the place of English medium, more pretence is given to the English medium by the concerned school or schools command. So, the school education medium is the most critical question. The scantiest attention to the medium is more controversial. The Aam Aadmi party that rules Delhi has its own rather unarticulated whims and fancies about the school curriculum. This we are not sure and no one raises such sensitive questions. Let us say the Delhi schools ,whoever wants to teach in English medium and then the pleas and counter pleas for raising the school fees can do so and get away from any regulations whatever. 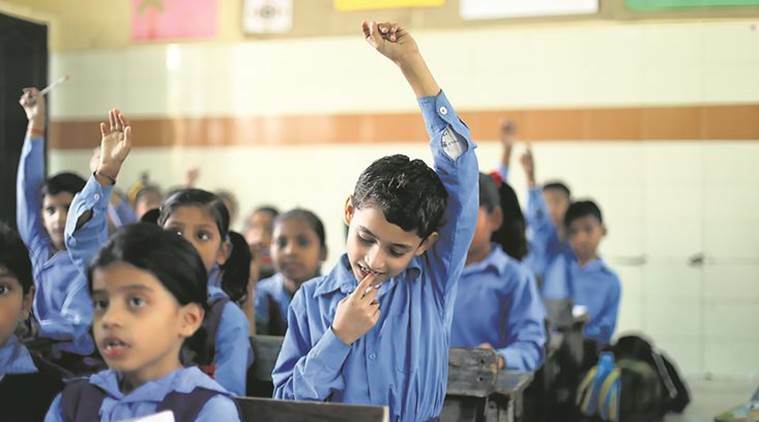 Unfortunately, the government schools that implement the Seventh Pay Commission teachers’ salaries are lucky for the obvious reason that they can teach in whatever fashion they want, being government schools and it is the private schools that have the burden to retain their brand value and also pay well. With a great deal of personal knowledge about how even the famous British established Public Schools perform in final exams, it is simply a dilemma for the really committed and genuine well-run schools to pay well and retain talents. So, there can’t be a rational solution to run a good secondary school these days. We have to draw an enlightened education policy, recognize genuine quality and some national ideals and declare that the good quality Public Schools enjoy some real freedom and not mere verbal autonomy, give a clear recognition, under some conditions some more autonomy to charge a publicly known high fee structure and so like the British Public Schools (for instance the famous Eton Public College in England now charges nearly 40 thousand Pounds a year! )But it is the brand value that matters here! So, long as some schools enjoy this sort of brand value somehow the money the schools can charge and get away. Facilities like a very good sports infrastructure of the Olympic level, such extracurricular activities and facilities like Horse Riding tracks etc. can be introduced into International level public schools in India. Apart from all other government considerations, we have to revive and revitalize the Indian Public Schools Conference and make a genuine public debate about the need to run international level secondary schools! You see that India has some peculiar history of education. Coming of Independence gives us a great responsibility to reform Indian education, keeping in mind our own ethos and transformation of Indian political and socio-economic realities. Sorry to say so but the gross reality is that we can’t create an artificial society and political culture in the name of democracy and social equality. We need new ideas and creative thinkers. To some extent we have to create an open society and this means much tolerance of the ground level realities. We have instances of those powerful bureaucrats, why the Central government ministers through their children in highly reputed private schools because of the schools’ prestige in society. One HRD minister, for instance, called Headmistress from the South all the way to New Delhi. Once this school head saw the minister, the minister said to give a seat at her school! So, our point here is to allow new types of schools, yes, expensive ones can also be allowed so that what we have said about the British style Public Schools too can thrive and we can create special scholarships for bright pupils to benefit by such schools of excellence.